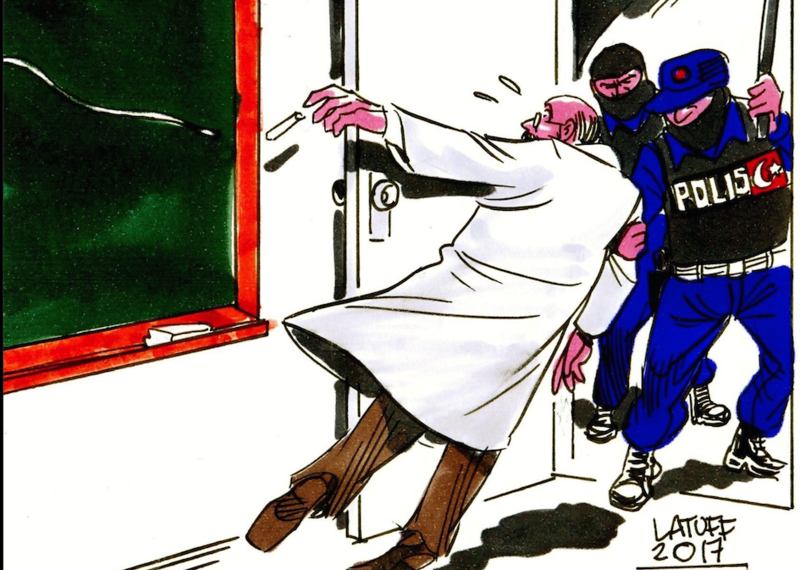 Three teachers in Karabuk province were put in pre-trial arrest by a court after spending some time under detention while another 16 teachers were detained by police as part of another investigation, over alleged links to the Gulen movement, on Wednesday. All 16 teachers had been earlier dismissed from their posts as part of administrative investigations into the movement, which the government accuses of masterminding the July 15 coup attempt, according to Anadolu news agency. Police carried out operations to take into custody 13 teachers in Zonguldak, Isparta, Osmaniye, Niğde, Ankara and Kayseri provinces.